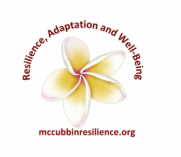 We strive to work collaboratively with scholars dedicated to resilience adaptation and well-being. We are fortunate to work with researchers domestically and internationally. Here are some profiles of people and their scholarship related to resilience and adaptation. If you would like to collaborate with us, please email laurie.mccubbin@louisville.edu. Thank you! Brian McNeill received his Ph.D. in 1984 from Texas Tech University in Counseling Psychology, and is currently a Professor and Co-Director of Training for the Counseling Psychology Program at Washington State University. He is the co-editor of The Handbook of Chicana and Chicano Psychology and Mental Health (2004), Latina/o Healing Practices: Mestizo and Indigenous Perspectives (2008), and Intersections of Multiple Identities (2009). He is also the Co-Author of IDM Supervision (2010), and Supervision Essentials for The Integrated Developmental Model (2016). Dr. McNeill is a licensed Psychologist in the states of Washington and Idaho where he practices and consults. ​Gabriela Fonseca is a doctoral student in Family Psychology and Family Intervention at the Faculty of Psychology and Education Sciences of the University of Coimbra and at the Faculty of Psychology of the University of Lisbon (Portugal). She received her Master’s degree in Clinical Psychology from the University of Coimbra. Her research interests include family studies and family intervention research within a systemic approach. Her PhD project focuses on identifying family resources linked to better adaptation of families with emerging adult children experiencing macroeconomic related demands. She has been collaborating in the validation of Portuguese versions of measures related to family resilience and the Double ABCX model.